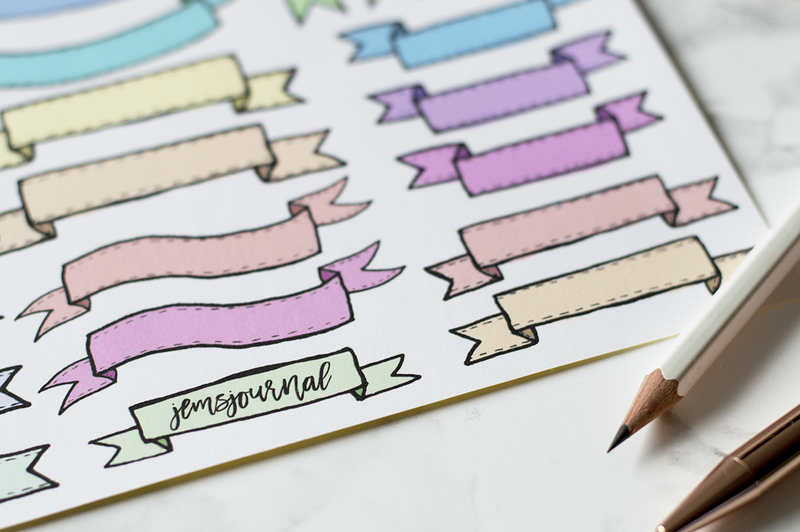 If you're a lover of Instagram and youtube then I'm sure you've heard about the Midori Travellers Notebook, it has taken the planner junkies and stationery addicts by storm. They're most popular for their beautifully stylish, vintage leather covers and how much freedom you have for customisation. I've always had an obsession with stationery since I was a little girl, I remember when I was in year 3 at school and I had the best pencil case in the class full to the brim with super cute pens and pencils. Everybody always turned to me to lend a pen for the lesson. The love for stationery never left me and my room to this day is filled with beautiful notebooks, pens, pencils, sticky notes, washi tape, rubber stamps and un-needed office supplies, I just can't help myself. As well as my love for stationery I've always had a love for planning and organising but I've never quite found the perfect planner until recently. I went through the whole phase of having a Leuchtturm 1917 for my bullet journal but I found it too big, scary and daunting; I'd constantly feel pressured to fill up my pages so they were instagram-worthy and to be honest I just didn't like it how much time it would take just to have a decent looking page spread. I do really love the concept of a bullet journal but I just can't stick to the system, there's too many different page spreads and too much competition so I've decided to funnel the system down to my own style. I've ditched the bullets and the spreads and just stuck to a simple re-occurring weekly spread and a monthly calendar which I enjoy decorating. The one thing I did love about the Leuchtturm 1917 was the dot-grid pages. Standard squared grid paper lines are too dark and makes the paper feel too busy but dot grid paper still lets you make perfectly straight lines and grids but without all those busy lines distracting the paper. I purchased a dotted paper pad so I can make my own dotted notebook insert's for my Midori. Although Midori's are absolutely wonderful to use they are quite pricey. I paid £40 for the cover alone and spent at least another £40 on inserts to fill it up. Of course I could of hunted online for a cheaper alternative but after having my own travellers notebook which I made I wanted to experience the genuine thing. My midori travellers notebook now has lots of pockets to put stickers, bits of paper and notes in and 3 notebook inserts and there's plenty of room for other things too. Even though the price is a bit much for a notebook system I really do think it is worth it. I have absolutely no regrets whatsoever for purchasing it and I will continue to purchase the inserts I can't make. My Midori isn't just my planner, it's my sketchbook and storybook. My 3 notebook all have different style paper to suit my needs and it keeps all my important stuff in one place instead of having bits of paper and other notebooks laying around. If I really need too I can drop it in my bag and be ready to go because it already has everything setup. It's not everybody's cup of tea but it certainly is for me and it never leaves my side. 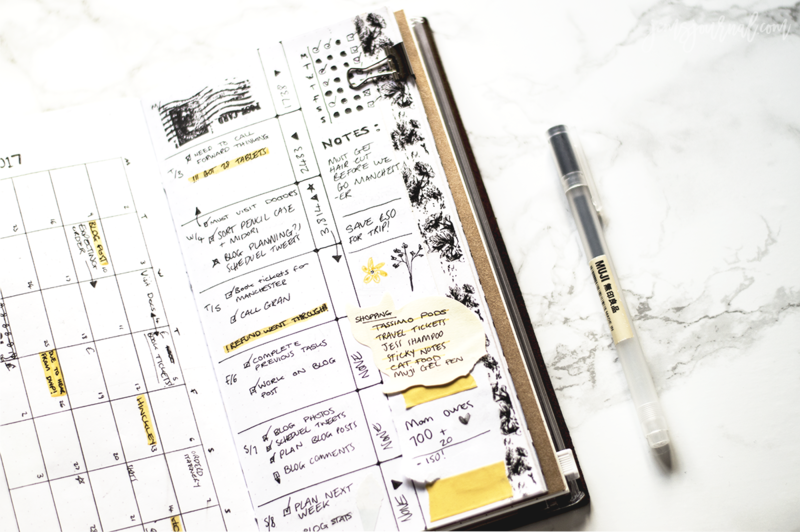 What's your favourite planner/diary system? Have you ever tried using a Travellers Notebook? Let me know in the comments! To be honest I haven't seen them haha I feel bad. They seem pretty cool so you use them freely. Cool post.